Half Irish, half French, George Ercole ranks among the most prominent newsreel men in early film history. Because he wasn't American we considered him "off limits" and didn't mention him in our latest book on the American cinematographers of World War I. This weblog is to set the record straight and give Ercole the credits he deserves. At the outbreak of war in 1914, Ercole was working in France as a cameraman for Pathé. The film company sent him to Belgium. 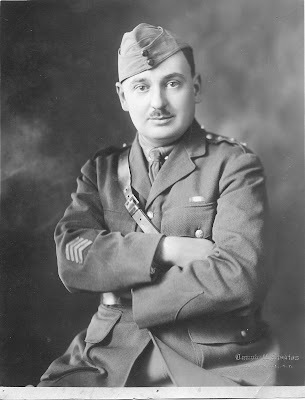 He was at Mons (Bergen) in August 1914 when the British Expeditionary Force made their famous stand against the invading German army. During this engagement a British major approached Ercole and told him that if he didn't make himself scarce he would be shot. None of his Belgian films saw the light. In 1915, Pathé sent Ercole as a special correspondent to Russia. He was assigned to the Skobelev Committee that set up a film propaganda division for the Russian government, and was provided on the railways with a special coach and military passes. Ercole's first assigment took him to area around Przemyśl in Poland, a fortified city that was under siege by the Russian army. After a harsh winter campaign the Austrian garrison inside Przemyśl surrendered to the Russians on March 22, 1915. Ercole's films of the siege of Przemyśl - long considered lost - were recently discovered in the Russian archives and have been uploaded on our YouTube channel. Near Tarnow, while filming an artillery engagement on the Eastern Front, Ercole was hit by debris. A second wound was sustained at Vladova during the retreat from the Austro-German attack later that summer. The Tsar decorated Ercole with the Cross of St. George because of his bravery. He next was commissioned to join the Black Sea fleet and filmed the bombardment of the Turkish navy and the forts along the Bosphorus. 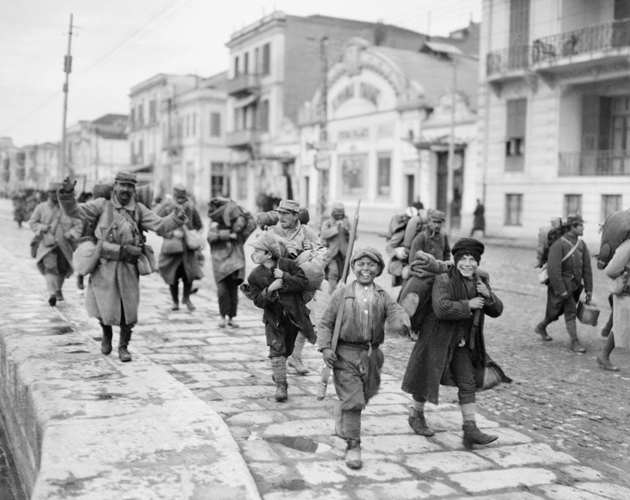 While marching with the army of the Caucasus, Ercole also covered the capture of Trebizond in April 1916. When the Armistice was signed in November 1918, Ercole was in Siberia where he covered the landing of the Allied Expeditionary Force with his movie camera. After the war Ercole continued to work for Pathé News from Paris. Together with journalist Arthur Ransome he covered the Russian civil war. Ercole scored a spectacular news beat in 1922 when he filmed the burning of Smyrna (Izmir) at the end of the war between Greece and Turkey. This remarkable film report was uploaded last year by British Pathé on the Internet. 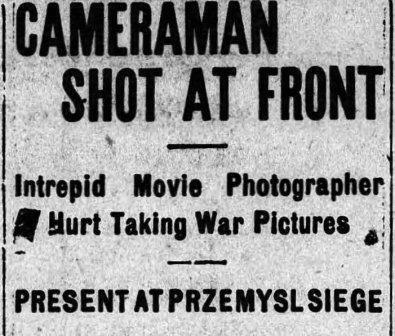 Among the most prominent, pioneering film cameramen of World War I Ariel Varges (1890-1972) deserves a special notice. As we described in our latest book on the American cinematographers of the Great War, Varges came to Europe in December 1914. By using his close contacts with Sir Thomas Lipton, he got on a ship for the Serbian front and filmed the war in the Balkans. From 1916, he became an official cinematographer for the British army and filmed in Greece and Mesopotamia. Varges was among William Randolph Hearst's ace newsreel cameramen, both during the Great War and long afterwards. We were fortunate to have written a section on Varges in our book, although a biography on his life and work is long overdue. On the Internet we found additional information on Varges and his family, like the picture shown above, taken in the 1930s when he was filming wars for the Hearst newsreels in China and Ethiopia.